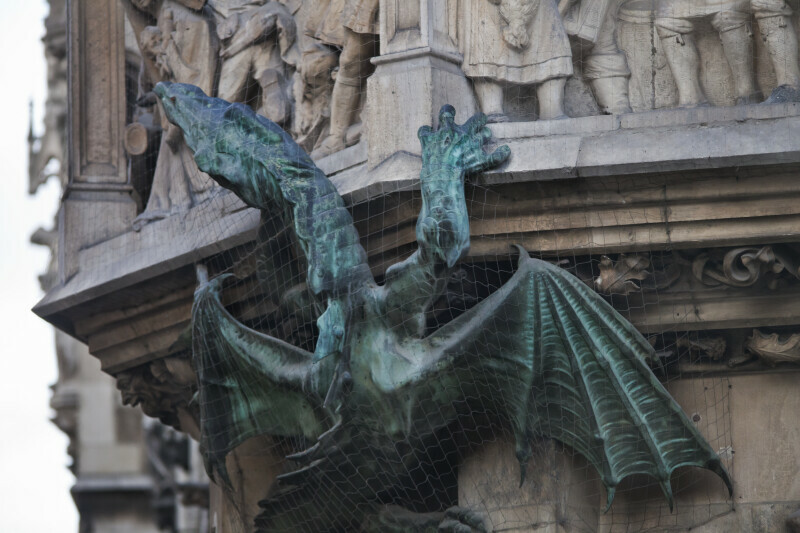 A sculpture of a green dragon on the wall of the New Town Hall in Munich, Germany. The New Town Hall is a town hall which hosts the city government, including the city council, offices of the mayors, and part of the administration. WARNING: You are about to download a 31.1 MB TIFF!